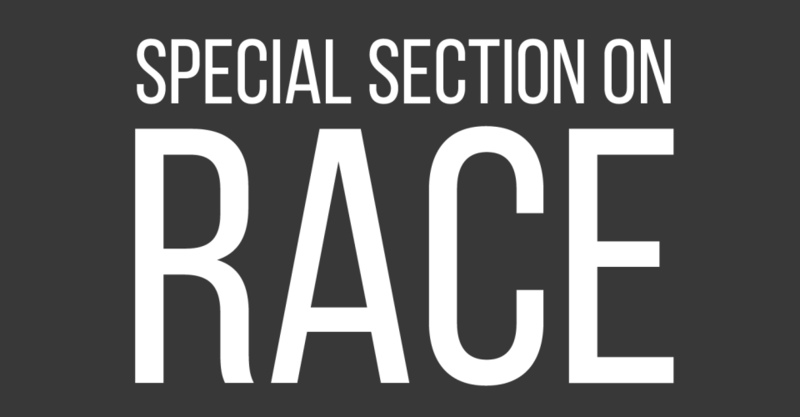 Editor’s Note: This article was originally published in a special section on race in the Graphic. “Where are you going now?” Chief Security Guard at George Pepperdine College William Charles Lane said to the group of Black high school students walking the old college campus on the night of March 12, 1969. “You guys should be off campus,” Lane said to the boys as he called them over. “Charlie, why don’t you open the gate so we can go home?” Lawrence Donnell Kimmons, 15, said in response. “You [Kimmons], you’re the smart one — you think I won’t take you down to Juvenile Hall?,” Michael D. Jones, 15, was quoted saying in a Los Angeles Times article published on April 11, 1969. Lane attempted to handcuff Kimmons, but the teen pulled away. “Wait a minute, I ain’t done nothing, Charlie,” Kimmons said to Lane. The teens had been “acquainted” with Lane for “some time,” according to the Los Angeles Police Department police report. Officer Lane went and retrieved his 12-gauge shotgun off the hood of his car; he then walked back as he put the loaded the shell into the chamber, according to the Coroner’s Inquest for William C. Lane. 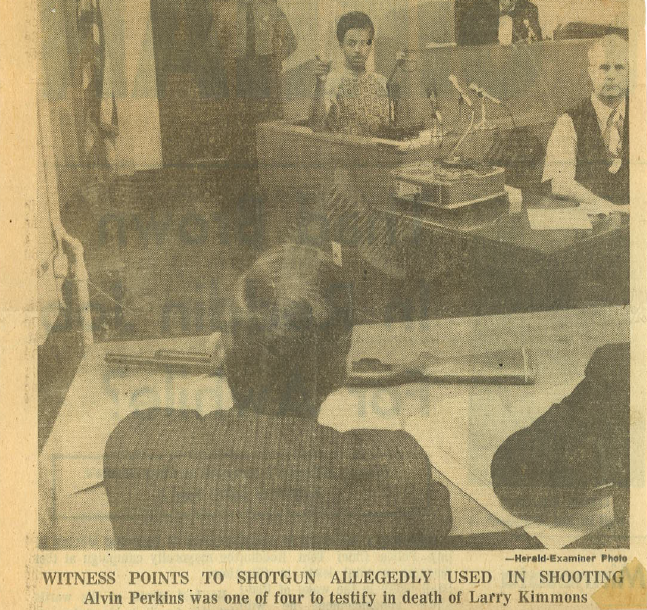 In the matter of “a few seconds,” Officer Lane “pumped” the shotgun from 14 inches away, and shot Kimmons in the chest, killing him right in front of Marilyn Hall, a women’s dormitory on the old college campus, according to Coroner’s Inquest. Kimmons’ death reignited racial tensions that the surrounding community had been dealing with for some time. During the summer of 1965, nearly five years before the Kimmons shooting, the South LA neighborhood of Watts was struck with a week of rioting. To some, the Watts Riots were labeled as “mob rule and criminality,” which could also be seen as a “violent leap” toward “Black self-empowerment” — depending on one’s perspective. The arrest of Marquette Frye, a Black man who was pulled over by a White highway patrolman for drunken driving, prompted the six-day rebellion in the Watts community. Small mom-and-pop stores were looted, fires were started, and it was reportedly one of the “greatest examples of racial tension America had seen,” according to a PBS article. The week of rioting, looting and persistent violence left 34 people dead — 25 of them Black — more than 1,000 people injured and 600 buildings damaged, according to the LA Times article, “Watts Riots, 40 Years Later,” written Aug. 11, 2005 by Valerie Reitman and Mitchell Landsberg. The Watts Riots took place just three miles southeast of George Pepperdine College on Vermont Ave., putting the campus in the heart of the tumultuous, violent events. In 1970, at least 22 percent of the George Pepperdine College student body was Black; University of Southern California, Pomona, Occidental and Whittier all displayed a student body with .05 percent Black students, according to Baird’s book. Baird, a 27-year faculty member at Pepperdine who has been working on his book for seven years, said when he first began working on his book, documents relating to the racial tensions of the 1960s were sitting in a garage “covered in rat feces.” Those same documents are now are now neatly organized in Special Collections and University Archives located on the second floor of Payson Library next door to the Surfboard Room. M. Norvel Young was President of the college from 1957 to 1971, which included this time of racial turmoil on and around the college campus. However, Young was on a plane to Washington, D.C., for a conference when the riots broke out around the campus; his wife, Helen Young, told him to stay put until the chaos was over, according to Baird. Upon returning to Los Angeles, Young was “quick to note the devastation surrounding the campus” — the campus community had changed, according to Baird. “Pepperdine College faced a most critical challenge today when for the first time in our 33-year history an unfortunate tragedy occurred in our midst Wednesday night,” Young wrote to the “Members of Faculty” the day after Kimmons was killed on the college campus. 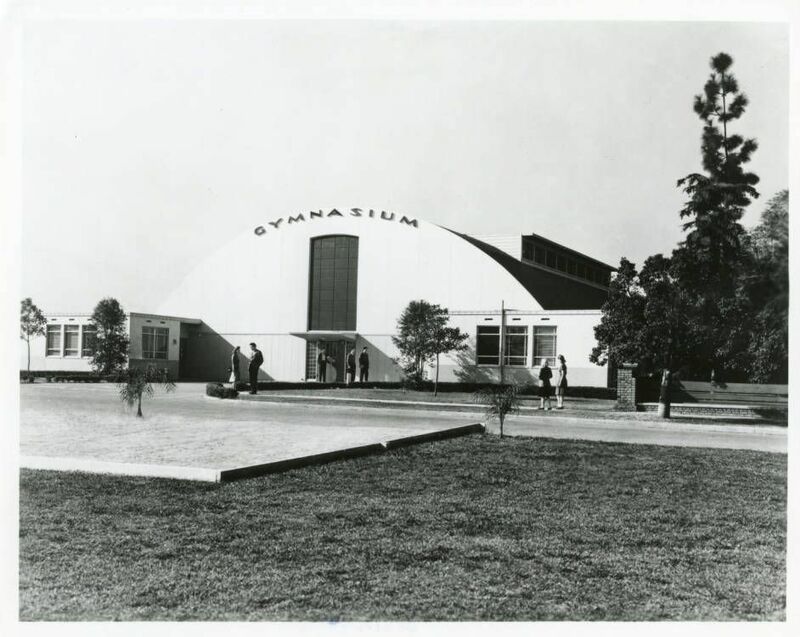 On the night of March 12, 1969, Kimmons, a student at Washington High School, and five of his friends went to the college campus to play basketball in the gymnasium, only to find that it had been locked for religious services. Witnesses told the police that after a brief encounter with the college’s Chief Security Guard William Lane, Lane attempted to handcuff Kimmons, and Kimmons pulled away. After Kimmons refused to be handcuffed, Lane went back to his car, grabbed his shotgun on the hood and “the shot was discharged,” leaving Kimmons in a “pool of blood” outside of Marilyn Hall, a women’s dormitory on campus, according to a master’s thesis by alumna and former adjunct professor of Humanities Candace Jones. Kimmons’ death ignited a revolt by the Black students on campus who were enraged by what seemed to be “cold-blooded murder” of an innocent Black teenager. Vice Chancellor Sara Young Jackson, daughter of Norvel Young, was just 3 years old when she and her family moved into the president’s home on the old campus. 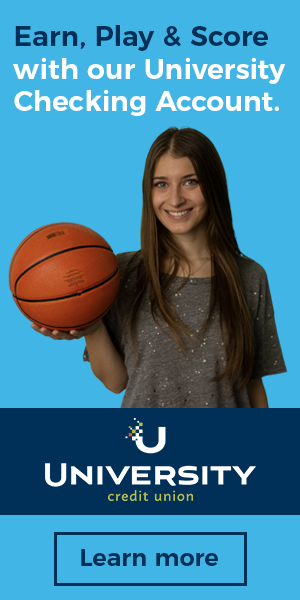 She was a 16-year-old high school student when Kimmons was shot. Though she didn’t witness the shooting, she was present just moments afterward. Lane, who Kimmons and many others referred to as “Charlie,” was well-known on the college campus. The Kimmons shooting, particularly “Charlie’s” involvement, was a shock to many, including Jackson, who grew up with Lane. Throughout the trial, multiple sources say Lane deemed this incident to be strictly an accident. It wasn’t until nine months after Kimmons’ death that Lane was given his final verdict in court — a $500 fine and probation for his role in the Kimmons’ shooting. The day following Kimmons’ death, the Associated Black Students of Pepperdine presented Young with a list of nine demands. Young agreed to five of them. However, Young made clear in a press release sent out on March 18, 1969, that the reaction from the students was “peaceful and orderly,” and that the “provisions made for the Kimmons family” were not made because they were told to do so by the students, but that they were a “voluntary response” of “normal human concern which any person would feel,” Young wrote. This press release was made after the Black Student Union (the group was previously referred to as the Associated Black Students) presented a second, more elaborate list of 12 demands to the administration (three more were added to the initial nine). The additional three demands included the “resignation” of seven individuals, including faculty who were allegedly racist, and the dismissal of Tom Dubas, a student suspected to be the “leader” of SPONGE — Society for the Prevention of Negroes Getting Everything. Seeing that the negotiating of the demands took place in her own family home on campus, Jackson said she recalls hearing her father and Banowsky discuss the demands with Associated Black Students, calling it a “civil” interaction. Banowsky and Young, “accompanied by the college physician, Dr. Allen,” felt that it was their own “moral responsibility” to visit the home of Mrs. Kimmons, which they did just hours after the incident, where they “sought to console her in her grief,” according to an announcement to the faculty from Young. Baird said the administration displayed “compassion” toward Kimmons’ family. 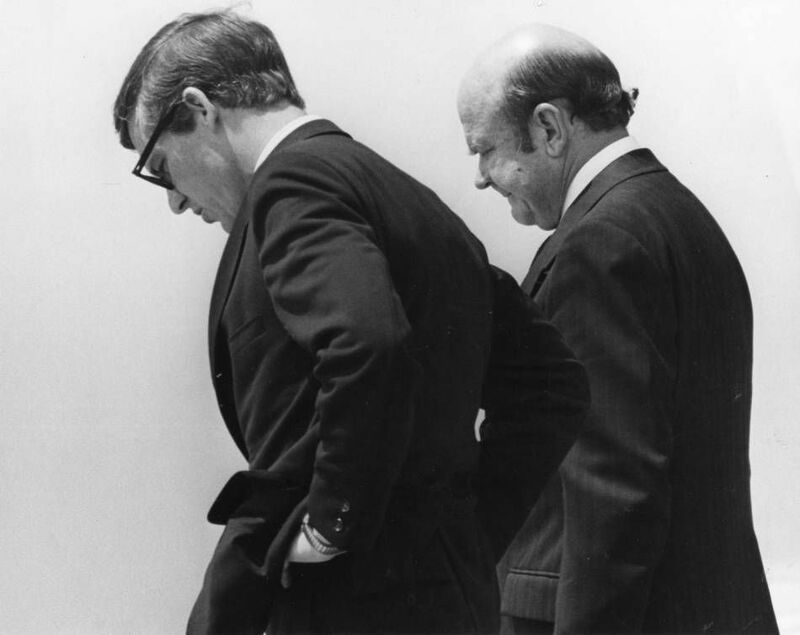 “[Young and Banowsky] went to Kimmons’ house, paid for the funeral, got his brothers 60 days [extra before going to war in Vietnam] and paid for his brother and his sister’s [education],” Baird said. The memorial service was held at St. Mark’s United Methodist Church on March 18, 1969 at 11 a.m. The entire youth service was dedicated in honor of Kimmons and was paid for by Pepperdine College. “The funeral was well attended by family, friends, teachers and others, including many [people who were] interested in the overall racial implications of the tragedy,” according to Jones’ thesis. The plaque memorializing Kimmons in the library at the Vermont campus, Jones said, was thought to be “lost in the move” to the Malibu campus. However, efforts are now being made to find the original plaque or replicating it if it cannot be found, said President Andrew K. Benton, who became aware of the plaque two months ago. The racial tensions persisted, only getting worse after Kimmons was killed on the college campus. Sporadic fires reportedly broke out, bomb threats were made, buildings were destroyed, the National Guard surrounded the campus, random acts of vandalism were committed, and fighting between Blacks and Whites was reported, according to an LA Times article, “Pepperdine University Torn by Tragedy and Internal Dissension,” published on April 18, 1976 and written by William Trombley. Other influences, such as the Black Panthers, who were allegedly seen on campus, were “influencing” the racial tensions that students displayed, Jackson said. Jackson said she recalls an incident when her mother was driving onto the campus, just after she had picked her and her sister up from school, as students began surrounding the vehicle. 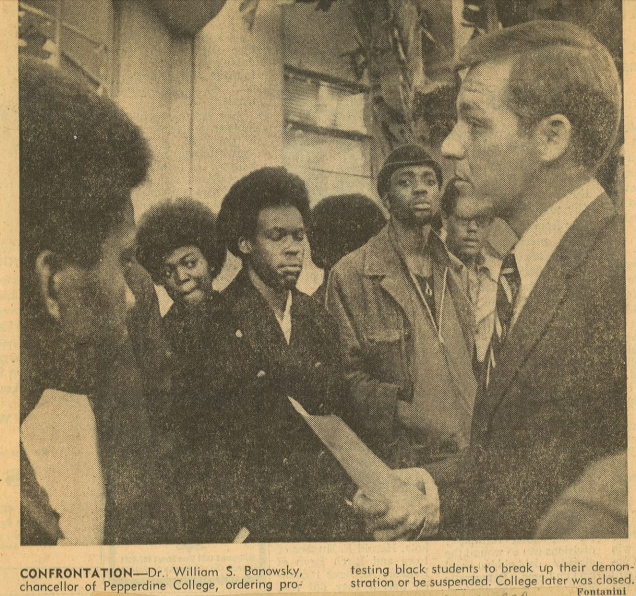 Then-Chancellor William S. Banowsky stood by his belief that the location of the campus, being situated in a “Black community,” was largely to blame for the violent behavior on campus, making it particularly “vulnerable” to student rebellion. Ellerbe was fired for being an “insufficient journalist.” However, the BSU disagreed, believing Ellerbe was fired for “no apparent reason.” In response, the enraged students held a strike, which eventually escalated, according to an article titled “Black Students’ Strike Forces Pepperdine College Shutdown,” written by by Eric Malnic and published in The LA Times on Dec. 11, 1970. The students finally left the building when Banowsky threatened suspension, according to numerous sources. The following morning, a fire “broke out” in the stage area of the auditorium of the Fine Arts building, costing a total of approximately $25,000 in damages, according to an Associated Press article published on Dec. 11, 1970, “75 Students Face Suspension for Blockade at Pepperdine.” The number of students involved in the strike varies amongst sources. In addition to those demands, the Black students requested a more ethnic curriculum, specifically books in the library and an “enlarged Black recruitment program.” These demands parallel two of the five demands presented to administration from the Black Student Association in fall 2015. One, which called for “mandating all students, faculty and staff [to] complete cultural sensitivity and diversity training,” and the second which called for a more diverse faculty. Baird said there is an important difference in the ways students today have gone about addressing issues of race, particularly mentioning the protests last semester, compared to the students at the LA campus. The BSA was satisfied with the reaction they received from administration, junior and member of BSA Omari Allen said. “In 1969, [the Associated Black Students] actually marched into president Young’s home, surrounded the car [in his driveway] and started thumping on the car,” Baird said. The community around the LA campus had changed. 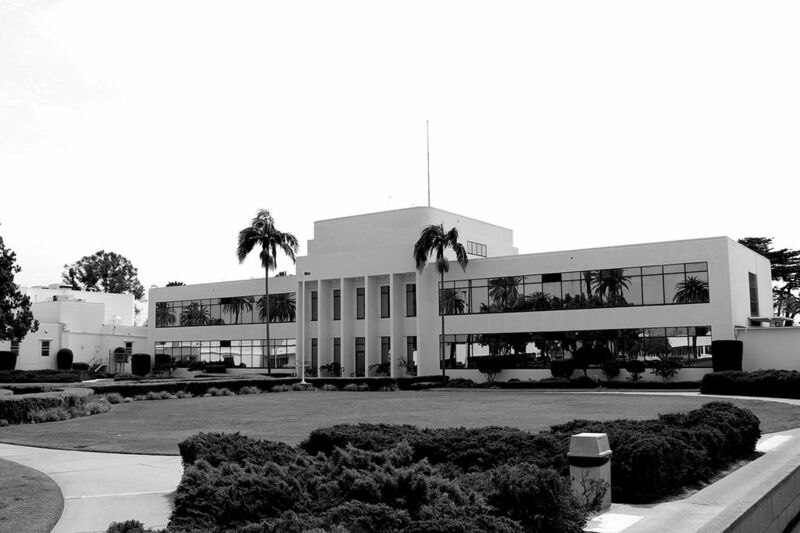 Pepperdine was moving farther away from the school’s original purpose of educating students, and was struggling to receive funding for new buildings in the area. People were hesitant to send their kids to the college because of the persisting violence. The safety of the campus was at stake, to the extent that the National Guard had to send men with rifles onto the campus, Jackson said. Jackson also mentioned a time when the safety on campus seemed to be most threatened. “I remember driving in one day after Kimmons was shot, and I remember the National Guard coming on campus, the fence going up around the campus and the National Guard fully [surrounding] the campus,” Jackson said. Banowsky agreed with Ellerbe’s statement. “We’re trying to change,” Banowsky said. “Sometimes we change too slowly, but by and large, we have been successful,” as quoted from the same LA Times article mentioned prior. 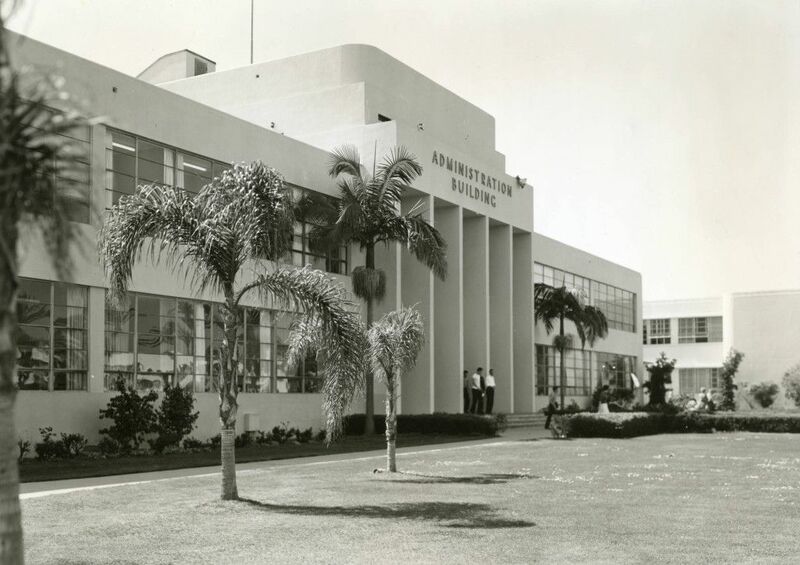 The Los Angeles campus, and everything going on within, and around it, were thought to be “much bigger than us” at the time, Benton said. It was as early as 1962 that Pepperdine started looking for a new campus, forming a “committee” to “quietly decide” whether or not the college should relocate, according to Baird. 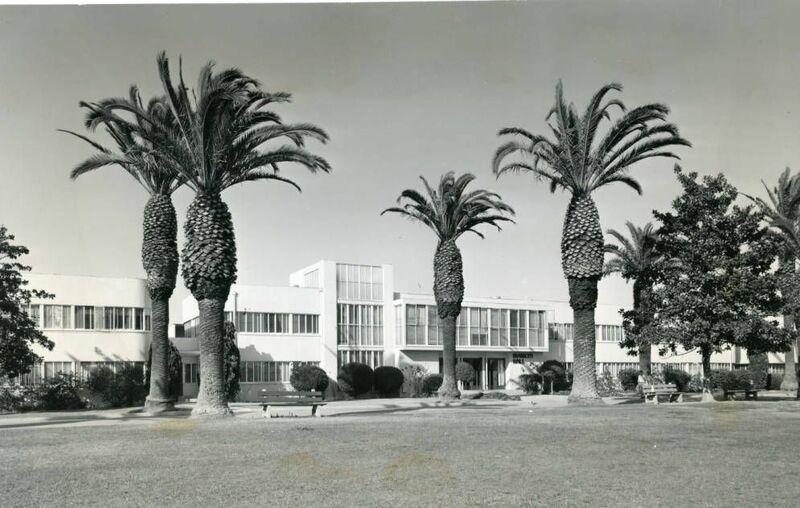 The University was concerned about the “transition” that had taken place in the neighborhood, even before the Watts riots had taken place around the campus, because they were unsure of whether or not they would be able to “maintain a student body” that included students from outside the LA area, Baird said. Pepperdine’s relocation to Malibu is often perceived in two opposing ways — that Pepperdine was fleeing to “once again” become a “White, suburban college,” or the University was simply trying to survive as an educational facility. Jones said she believes Kimmons’ death was forgotten as a result of the move to Malibu. Pepperdine didn’t close the LA campus immediately following the move to Malibu, but rather attempted to “maintain dual programs” by simultaneously offering courses on both campuses, Benton said. 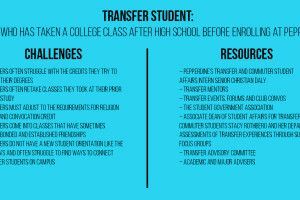 Jones also said there was a “clear divide” between faculty and administration during the move to Malibu, which Baird confirmed. 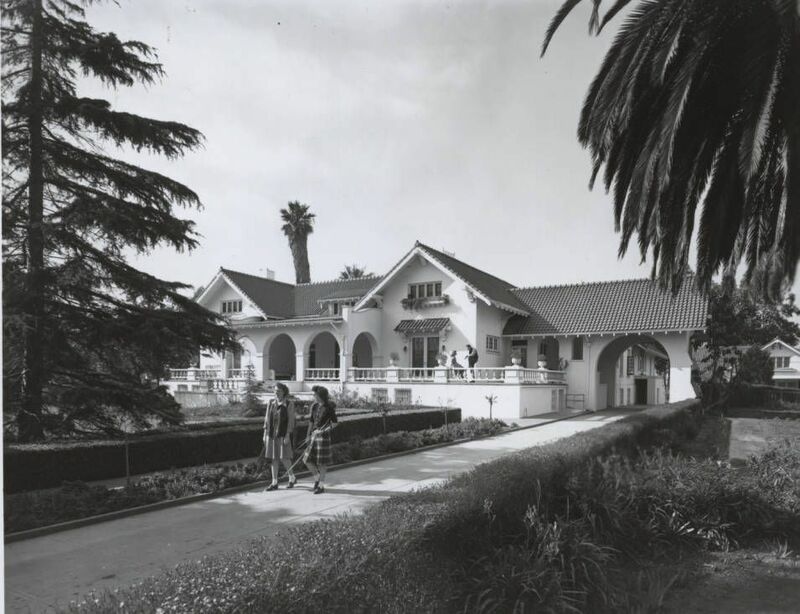 Both Blacks and some administrators were questioning whether Pepperdine was trying to flee the urban neighborhood and “once again try to become a White, suburban college,” according to an article, “Pepperdine: A Changing Scene,” in the LA Times by John Crowe. Others thought the move to be out of economical and safety concerns. 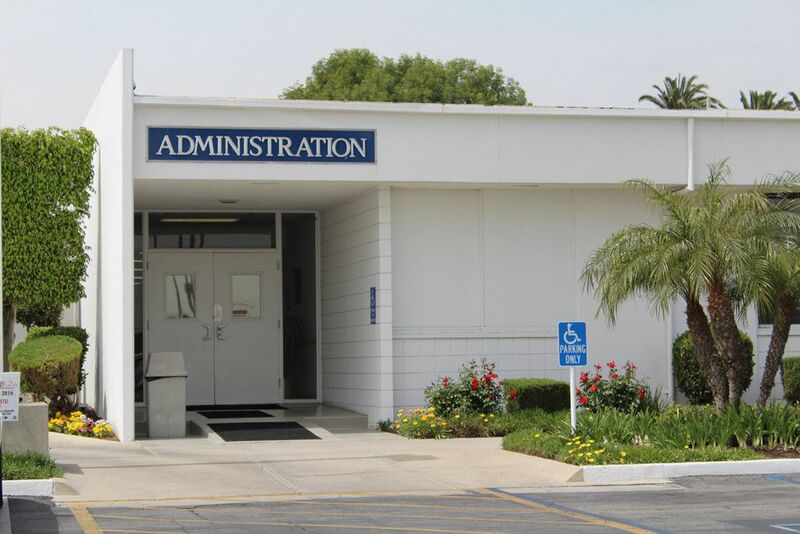 Prior to moving to Malibu, officials say people were worried that “community militants” might “burn the Los Angeles campus to the ground” when they heard of the move, according to that same LA Times article. 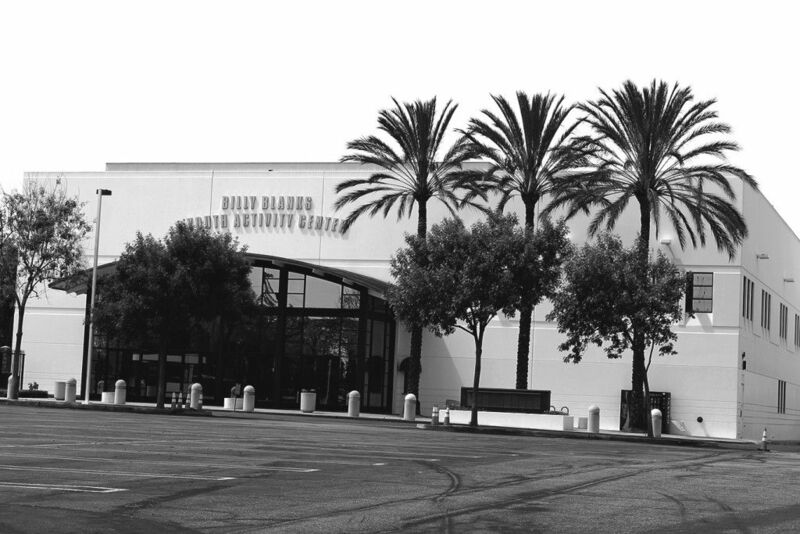 Baird holds his own view in terms of the University’s decision to move to Malibu. 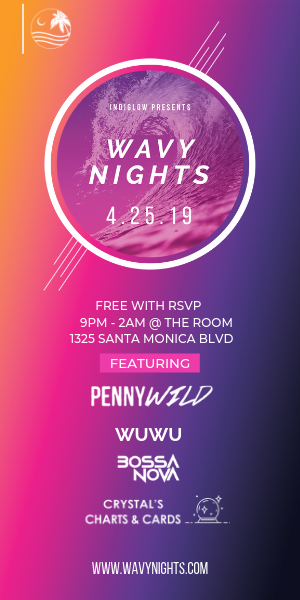 “It was simultaneous with [the changing community around the LA campus] that Pepperdine was looking for another campus, and even preceded the Watts riots because of the transition that had taken place in the neighborhood,” Baird said. 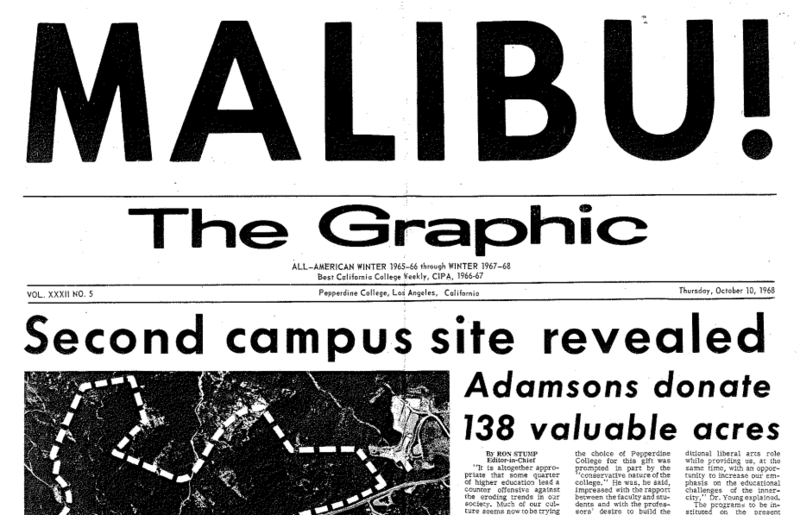 An article published in the Graphic on Oct. 10, 1968, “MALIBU!,” also references the extent to which Pepperdine had been searching for an alternate campus by mentioning the study of “some 40 sites” that had been looked at before they announced the new Malibu location. 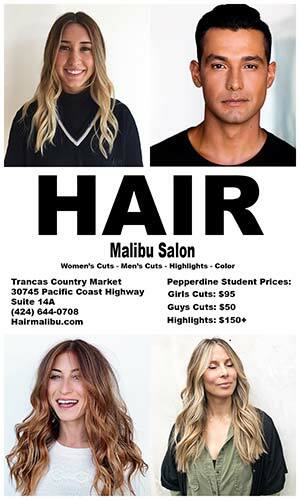 Young said when he announced the new location that the move to Malibu would permit a more extensive liberal arts program, and he said the move would “lead a counteroffensive against the eroding trends” of society. The decade of trending violence and continuous racial tensions within and around the campus in LA was “traumatic,” Jackson said. Last semester, the BSA asked administration to implement a “General Education requirement that focuses on diversity and inclusion,” seeking new curriculum to enhance cultural sensitivity on campus. Pepperdine’s recently established “task force” is a group of students and faculty who is responsible for “brainstorming” and “creating outlines” for the new GE requirement, according to Allen, who is a member. The group had their first meeting this semester, and a new GE requirement on diversity and inclusion will be implemented, Benton said. “The Student Board recommends that all members of faculty, administration and staff be required to participate in sensitivity training by the fall trimester,” which is nearly identical to the second demand listed in 2015. Both groups — the Black Student Union of the 1960s and the current Black Student Association — have presented the administration with a list of parallel demands, despite the 40-some-year gap between the two occurrences. Additionally, both of these occurrences happened as a result of a particular racial incident that caused an upset among students. The racist Yik Yak posts last semester acted as a “trigger” to get the “conversation going” about racism on campus, Benton said. 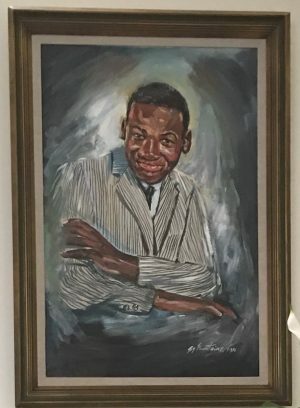 The death of Larry Kimmons re-opened a racial wound that had been lingering around the LA campus preceding the Watts riots of 1965. Despite the problems the Pepperdine administration and the students have had and still have to face, it seems that the faith and spiritual aspect of the university have been elemental figures in the relieving of these tensions. Benton went on to talk about how Pepperdine never wanted to be “a White school on a hill,” and how the University wants people from all backgrounds.